As far as tooth replacement options are concerned, dental implants are by far your best bet. 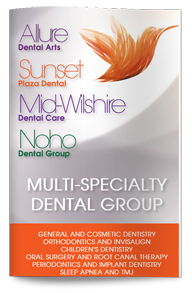 They are the only tooth replacement option that mimics the look, feel, and function of your natural teeth. And when it comes to taking care of your dental implants, it is very similar to how you would take care of your natural teeth. Practicing good oral hygiene is the best way to ensure the longevity of your dental implants. It is best to brush twice a day or after meals. You will also want to be sure to floss at least once a day. Some people find that interdental brushes are helpful for removing plaque and food particles around the site of the implant. Along with regularly brushing and flossing, it is recommended that you visit a dentist every six months for a professional exam and cleaning. In addition to professionally cleaning your mouth, the dentist will be able to assess the health of your implant. With proper care, dental implants are capable of lasting a lifetime. While the crown that sits atop the implant is not subject to tooth decay, it is important to remember that the surrounding living tissues are still vulnerable to it. When we fail to remove plaque from our natural teeth and gums, the decay can eventually lead to gum disease. A similar condition called peri-implantitis can develop in the tissues surrounding a dental implant. This condition can result in gum and bone loss, as well as implant failure.